Complete Property Inspections. Our licensed, experienced service technicians will review the areas in which you need weed abatement.You will receive a detailed explanation on how Anchor Pest Control can eliminate unsightly weeds to improve the quality of your property. Pre-Emergent Weed Control. The pre-emergent service is essentially weed prevention – we kill the weeds before they grow by preventing the seeds from germinating. Quarterly Spot Spray Service (post-emergent), One of our licensed technicians will spot treat your weeds every quarter (4 times a year). Customized Service Schedule. We make our service flexible to meet your busy schedule and your budget. One time service, bi-annual pre-emergent weed prevention service, and monthly weed treatment programs are available to meet your needs. A lot of tree stresses caused by insect or disease pests on trees and shrubs can be avoided if you treat the problem early. Anchor Pest Control offers a complete program to service your landscape and keep your trees and shrubs beautiful year after year. Anchor Pest Control offers Integrated Pest Management. We use the best, or multiple methods to limit pest damage to trees and landscape plants. Our treatments provide both insect control and disease control on trees and shrubs. Tree or shrub fertilization may also be incorporated as a component of our tree protection program. 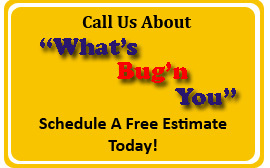 Our certified technicians are experts at identifying insect and disease pests that affect trees and shrubs. Protect young and mature trees alike. Do nothing to your existing landscape. In fact, it can enhance surrounding shrubs and grass areas. Include soil or trunk injections, if needed. Manage or eliminate disease in your tree or shrub. Control a tree borer such as beetles.